Beautiful fireworks and music. Together, with the goal of perfect harmony and choreography. This is what the international Pyromusical fireworks performances are about. I remember an ad for the Pyromusical (which I think was called Pyro Olympics) back then claiming to be “the greatest show on earth.” And while this may have been too much of a claim, it had some truth to it. The shows are always, always stunning and spectacular – forgive the cliche description, but if there is any show that deserves these adjectives, it is this fireworks show. It is a show anyone living in or visiting Metro Manila should watch. And, the competing countries are well-known in the fireworks industry, with some having already won international competitions. 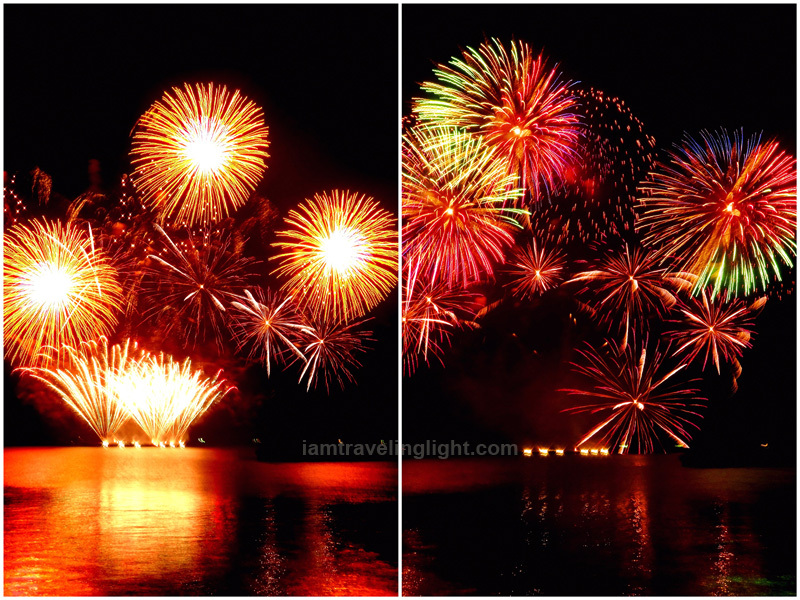 Year after year, starting from the year Mall of Asia had not opened yet and the fireworks show was held by the bay, I have always tried to watch this show, valiantly braving the crowds as I found a spot where I could clearly see the fireworks, including the low ones closer to the sea. This one last weekend, the 5th international Pyromusical competition, was my fourth or fifth time. The show last March 22 is the last for this year, featuring USA and the show’s closing performance from the Philippines. The winners were also announced. First was USA, with fireworks timed to mostly alternative songs and some well-known ones. I was particularly entertained with their “I Love Rock and Roll” number. The competitor, USA Atlas Pyro Vision, has won several fireworks competitions before, and performs yearly at the Fourth of July Independence celebration in the US. Philippines, though not a contestant, did a colorful closing performance. There was even a fiery bird flying around the sky (which unfortunately I was only able to photograph as a streak). 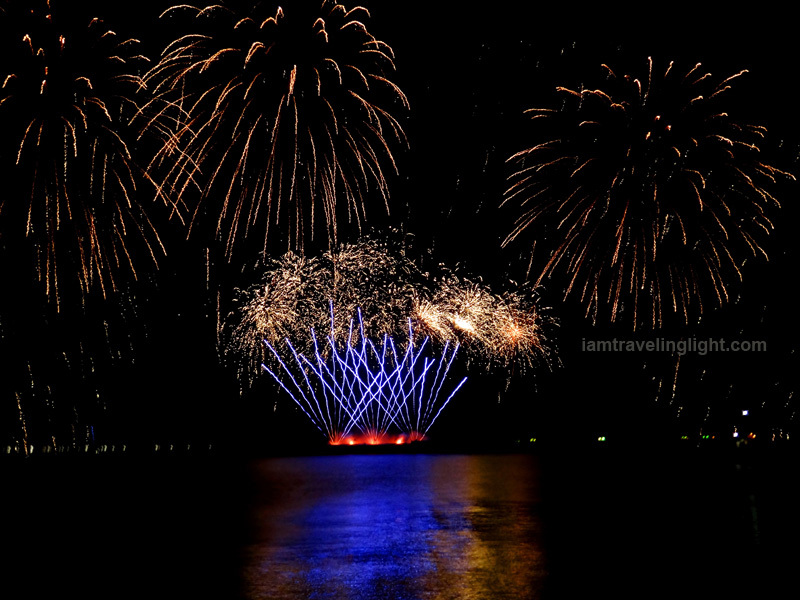 Platinum Fireworks, the Philippine representative, has also bagged awards like the People’s Choice Award at the 2011 GlobalFest Pyromusical Competition in Calgary, Canada, and the Best Show trophy at last year’s Sounds of Lights show in Ottawa, also in Canada. The Philippines even did fireworks that did not fly in the sky but were nevertheless amazing, like this one directly below, promoting the Pyromusical venue. And, the Philippines took advantage of performing to the wildly popular song, Frozen’s “Let It Go.” Below is an excerpt. 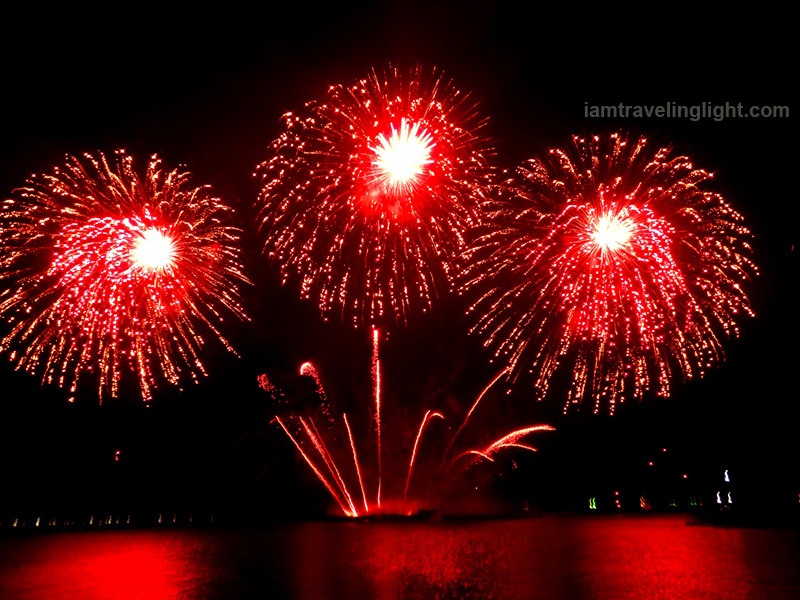 The Pyromusical competition this year was joined by Australia, Canada, China, Finland, France, Germany, Japan, Spain, United Kingdom and USA. 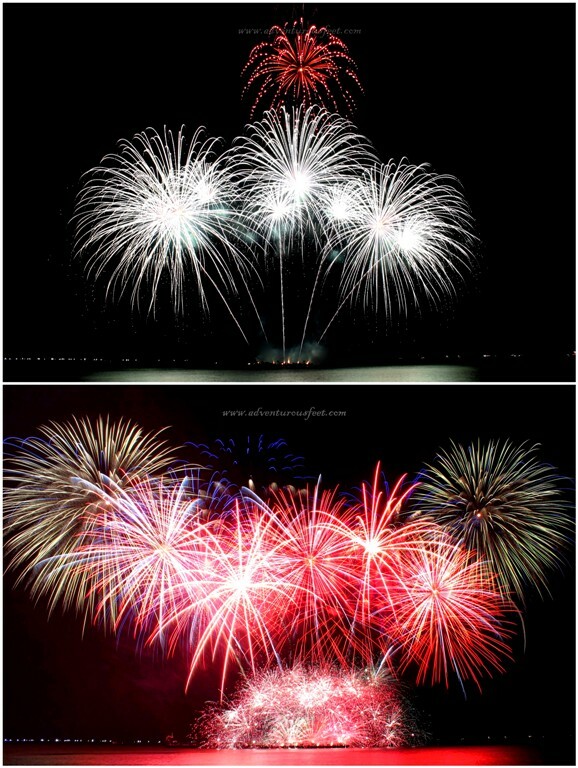 UK’s Jubilee Fireworks, last year’s Pyromusical champion, placed third this year. 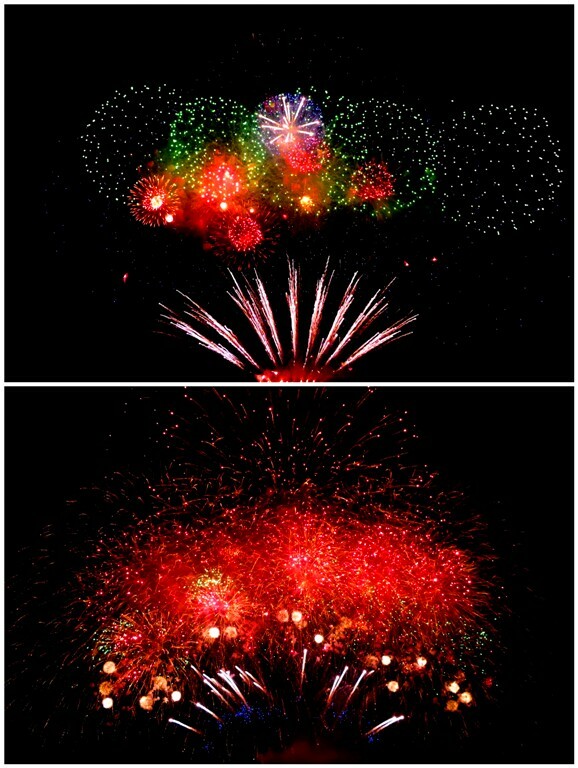 Second was China’s Liuyang New Year Fireworks, a seasoned fireworks maker and has been around since 1976. And then, champion was Canada’s Royal Pyrotechnie. I was not at all surprised, as I had watched Canada’s winning performance at the Pyromusical two years ago. 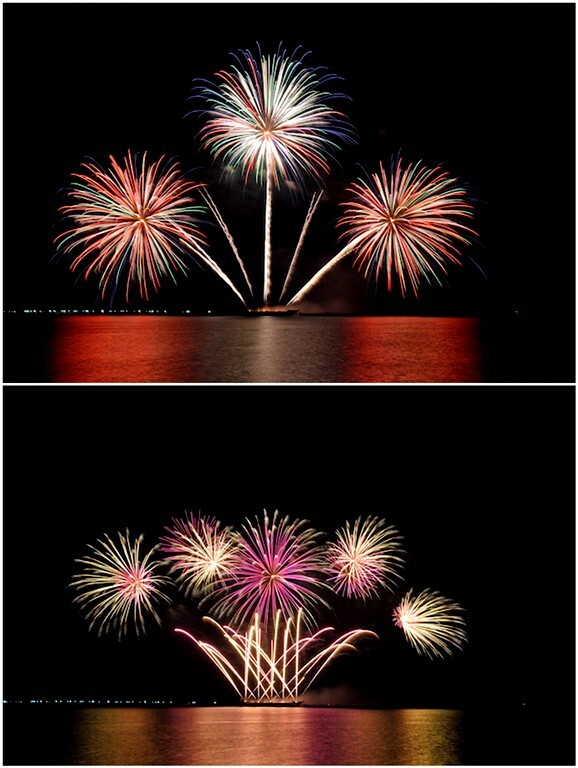 Their fireworks were perfectly timed to the music, with more flamboyant fireworks at song climaxes. I will never forget their “Let It Rain” by Amanda Marshall segment, where the crowd, including me, fell in a hush. I am having trouble embedding the video of Canada’s highlights, but if you want to watch it, you can watch it here. There are no more Pyromusical shows for this year, but if you want to be updated on next year’s schedules, subscribe to their official Facebook page. Shows usually run every Saturday evening from February to March. It may not be the greatest show on earth, but I would say it is one of the greatest. Disclosure: My Pyromusical ticket this year was sponsored.